Imagine your mountain dream home nestled in the pined and private rolling hills of Breckenridge with panoramic views of the spectacular 10-mile range. Summit Estates in Breckenridge encompasses all these things and more! As a resident in the esteemed and secluded subdivision of Summit Estates you will have access to a private equestrian center (one of the only of its kind in Summit County), Nordic Center and extremely prestigious and one-of-a-kind Jack Nicklaus designed 27-hole municipal golf course – the only one of its kind in the country. Made up of 81 residential lots, Summit Estates has been developed with a guiding principal of seamless integration with the beautiful mountains it resides on. You will find each home in Summit Estates tastefully designed to fit in with its mountain surroundings. Located off Tiger Road after the Breckenridge Golf Course, most residential lots in Summit Estates back up to either national forest or open space giving residents in this wonderful community opportunity to bike, hike, Nordic ski, snowshoe and horseback ride on the trails out their backyard! Further down the road snowmobile and dog sledding enthusiasts delight in the open space and expansive mountain vistas to play in! Located about 10 minutes out of town, residents of Summit Estates literally have the best of both worlds! As a homeowner in Summit Estates, you have access to everything the town of Breckenridge has to offer at your fingertips! World-class dining and cuisine, pubs, shops and boutiques line the historical main street of Breckenridge. Relax at the many spas located throughout town or grab a drink at the many après ski stops. Enjoy theatrical productions located at the Backstage Theatre in the Breckenridge Arts District or a concert at the Riverwalk Center. 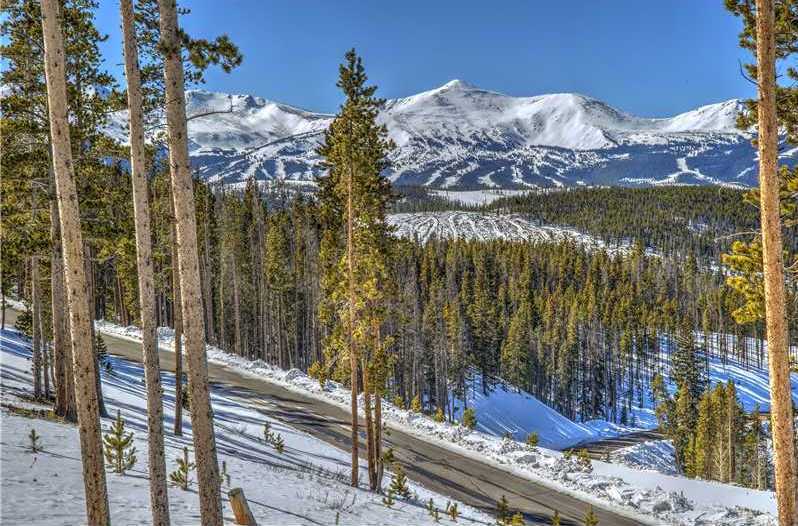 Make Summit Estates in Breckenridge your mountain residence today! If you would like more information about this spectacular subdivision, the professional team of brokers at Real Estate of the Summit will be more than happy to assist you with all your Summit County real estate needs. Call our office at 970-453-1450 or fill out the contact form below and we will get in touch with you.